Looking for deals in Kyoto? 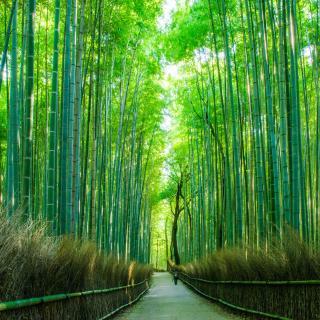 Providing free WiFi, Nagi Kyoto Arashiyama offers accommodations in Kyoto, a 14-minute walk from Arashiama Bamboo Grove. Literally everything! It’s been a pleasure staying at Nagi Arashiyama. 2297 feet from Samurai Kembu Kyoto, Cross Hotel Kyoto is set in Kyoto and provides rooms with free WiFi. Located in the Nakagyo Ward district, the property provides guests with access to a restaurant.... Great location and very nice rooms and we liked the overall style of the hotel. Open from August 2018, IMU HOTEL KYOTO is located in Kyoto, 5-minute walk from Shijo-Karasuma Metro Station and Hankyu Karasuma Station. Staff is awesome, we love them all. The hotel is beautiful, brand new, and everything is perfect. A 14-minute walk from Kyoto International Manga Museum, The Share Hotels Rakuro Kyoto is located in Kyoto and has air-conditioned rooms. I was travelling with my parents. We got a 3-person room. Featuring a garden and free WiFi, Tomoya Residence Hotel Kyoto is located in Kyoto. 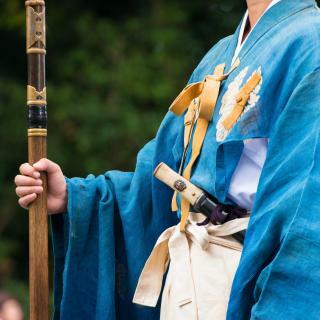 Around a 9-minute walk from Kyoto International Manga Museum, the property is also close to Samurai Kembu Kyoto. I LOVED everything about Tomoya Residence Hotel. The accommodations were top-notch. Located in Kyoto, a 15-minute walk from Samurai Kembu Kyoto, My K House has rooms with free WiFi access. Located conveniently in the Shimogyo Ward district, this hotel provides a bar. Great accommodation and friendly staff. Great location, only few minutes from the main street. 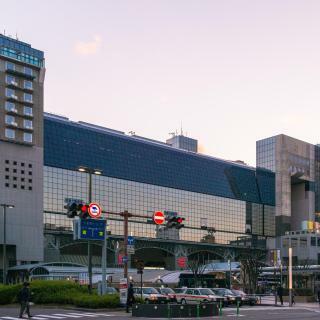 Awarded two pavilions by the Michelin Guide 2019, Hotel Alza Kyoto is located near the Kamo River and within Gion District, a 2-minute walk from Sanjo Station. The appearance of the hotel was beautiful and full of Kyoto Style. THE POCKET HOTEL Kyoto Shijo Karasuma is located in Kyoto. Offering a shared lounge, the property is located within a 13-minute walk of Kyoto International Manga Museum. Rooms and shower rooms were clean and great. Providing free WiFi, Hotel WBF Kyoto Shijo NISHIKITEI offers rooms in Kyoto, an 11-minute walk from Kyoto International Manga Museum. -Comfortable room with space for one open luggage. -Convenient location. Open from September 2018, providing free WiFi throughout the property, the b kyoto shijo offers accommodations in Kyoto, just a 3-minute walk from Omiya Station and Shijo Omiya Station. Location was very central. Buses that take you around Kyoto were very close by. Daiwa Royal Hotel Grande Kyoto is located just a 5-minute walk from JR Kyoto Station. The hotel is an 18-minute walk from Tofuku-ji Temple and 1.4 mi from Kiyomizu-dera Temple. Bed was firm and comfortable. Room was spacious. Bathroom was well-equipped. Located within a 13-minute walk of Kyoto International Manga Museum and 1.4 miles of Samurai Kembu Kyoto, The Royal Park Hotel Kyoto Shijo provides rooms with air conditioning and a private bathroom... Excellent room! The location is Very convenient for communication. Hotel Kuu Kyoto is located in Kyoto, a 16-minute walk from Sanjusangen-do Temple, and provides free WiFi. Featuring a 24-hour front desk, this property also provides guests with a restaurant. The room and the bed are so comfortable. Located in Kyoto, within an 8-minute walk of Kyoto International Manga Museum and 1.1 miles of Nijo Castle, Kyoto Shinmachi Rokkaku grandereverie provides accommodations with free WiFi. The room was perfect. Large and comfortable. The bathroom was superb. Good location. Located in Kyoto, a 7-minute walk from Nijo Castle, Yutaka has rooms with free WiFi access. Excellent location and great venue. We felt like our home in Kyoto. Nagi Kyoto Shijo is offering accommodations in Kyoto. With free WiFi, this 4-star hotel offers a 24-hour front desk and a concierge service. Hotel staff at the reception were very friendly and supported us. What are the best hotels in Kyoto near Kiyomizu-dera Temple? Some of the best hotels in Kyoto near Kiyomizu-dera Temple include Guesthouse Engawa, Kyonoyado Senkaku Bettei and Yadoya Manjiro. Which hotels in Kyoto have nice views? The Ritz-Carlton Kyoto, Sakura Suite, and Aoi Hotel Kyoto got great room view-related reviews from travelers in Kyoto. Which hotels in Kyoto are good for couples? These hotels in Kyoto are highly rated by couples: My K House, Kyoto Shinmachi Rokkaku grandereverie, and Sakura Suite. Which hotels in Kyoto are good for families? Many families visiting Kyoto loved staying at 22 PIECES, My K House, and Nagi Kyoto Arashiyama. Which hotels are the best ones to stay at in Kyoto? Kyoto Inn Gion, Suzakukan Suzaku Crossing, and Solaria Nishitetsu Hotel Kyoto Premier are some of the popular hotels in Kyoto. How much does it cost to stay in a hotel in Kyoto? On average, 3-star hotels in Kyoto cost $111 per night, and 4-star hotels in Kyoto are $190 per night. If you're looking for something really special, a 5-star hotel in Kyoto can be found for $355 per night, on average (based on Booking.com prices). How much is a hotel in Kyoto for this weekend? The average price per night for a 3-star hotel in Kyoto this weekend is $308 or, for a 4-star hotel, $371. Looking for something even fancier? 5-star hotels in Kyoto for this weekend cost around $706 per night, on average (based on Booking.com prices). Which hotels in Kyoto offer an especially good breakfast? 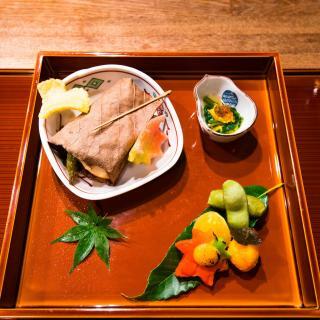 For hotels in Kyoto that serve highly-rated breakfasts, try Tomoya Residence Hotel Kyoto, Sakura Terrace The Gallery, and Nagi Kyoto Arashiyama. Which neighborhood is the best one to stay at in Kyoto? 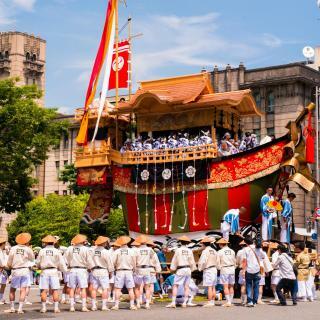 Gion, Arashiyama, and Higashiyama Ward are popular with other travelers visiting Kyoto. How much is a hotel in Kyoto for tonight? 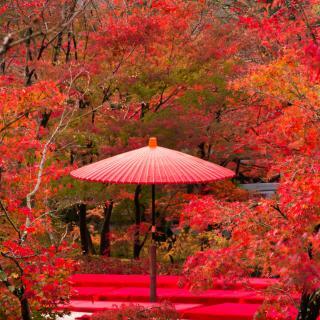 On average, it costs $105 per night to book a 3-star hotel in Kyoto for tonight. You'll pay around $153 if you choose to stay in a 4-star hotel tonight, while a 5-star hotel in Kyoto will cost around $306, on average (based on Booking.com prices). Efficient check-in, spacious room, very nice location. Tokyo tower experience shouldn’t be missed. Great place to stay. Very close to Kyoto station, including all the bus stations. Hotel staff are friendly and speaks good english. Kyoto itself had a lot to offer and it was a great place to have as a base for traveling to other cities (get that JR pass and take the bullet train to many destinations). We stayed at Hotel Gimmond. An older hotel but the staff was wonderful. It was a short subway ride to Kyoto station. Reasonable price. There were 6 of us so we needed two rooms. 812 & 816. 816 had more room and was at the end of the hall. Bathroom was subpar. It's old and has some wear and what looks like mold, but doesn't wipe off. It's embedded or painted over. Not great, but not a deal breaker. The rest of the place was well maintained but dated. Beds were comfy. Pillows had a buckwheat side and were surprisingly relaxing and comfortable. We noticed a smokey smell and told the staff. It was taken care of promptly. To keep out noise and light, there was a sliding panel that closed off the window area. Eat where the locals eat. Transportation is efficient. The hotel was exactly as promised. The hotel was exactly as promised. The staff was excellent, the room was clean but being so close to the Kyoto station made a world of difference. You can pretty much get anywhere on their train system but it can be a little overwhelming trying to figure out. I must say that the room was tiny. It was fine for sleeping but too cramped for just relaxing. But I re-iterate it was exactly as promised and you can expect no more. Had I to do it over I would have paid more for a larger room. The Japanese people could not have been more friendly, helpful and gracious. Don’t expect to find American style sushi in Japan. Sashimi seems to be the rule. Although after a few days you can only see so many Buddhist / Taoist temples, and there will be a LOT of walking! For some unknown reason they seemed to like building their places of worship up a mountain. Yes, Nishiki Market is fun. Yes, Nishiki Market is fun. Like somewhere OFF THE BEATEN TRACK? And to be away from the crowd for a while? If you have time to spare, why not take a look at another covered shopping arcade in Kyoto. The name in Kanji is 三条會商店街. It is 800 metre long. Unlike Nishiki Market, the shoppers you would see are mostly the locals. I enjoyed the leisurely atmosphere there, not hustling and bustling Kawaramachi. It is a place where the locals shop for their daily necessities and foodstuff. Some restaurants, coffee shops and tea rooms there as well. Not in a far flung corner. Look for Koin Dori on Google map. I stayed at Hotel Unizo on Shijo Dori. So I left the hotel, headed for Koin Dori by going west. Ｗalked to the other end of Koin Dori, the entrance is there. So you can have your Google search for 三条會商店街. You don't have to start from Shijo Dori. It depends on where you are. You may skip Koin Dori altogether. Maybe ask your hotel staff for assistance when you are there in Kyoto. Show them the name, figure out the time you would need and then see if you may like to have a look and if it is convenient for your other destinations of the day. I made it the first stop on one of the days, then to Nijo Castle, then to Nishiki Market and then back to the hotel. All on foot and in one afternoon. To prepare for my trip to Kyoto, I read a lot. It is not featured in the English guide books or the Chinese ones. I got the information from a blog by a Taiwanese. I would like to thank the writer for that. And now happy to share with you after I have been there myself. I would not say it is a must. It is not a UNESCO site. If you have the time, happen to be somewhere near, why not consider putting it on your itin. Thank you. Two Amazing days in Kyoto. My Husband ,12 yr old son & I, had 2x full days of sight seeing in Kyoto. Staying at the fabulous Brighton hotel only 2 blocks away from the imperial Palace , which made walking & bike riding access easy. We rode to the Ginkuku-ji Temple which was my favourite ,stunning Landscaping & gardens, even in the middle of winter.Then continued on our bikes to the fascinating Philosophers walk . Stopping at interesting shops & eateries along the way. Then back to the imperial palace for a guided tour in English . ( make sure you take your passport & arrive 30min early to allow time to fill in necessary paperwork.) We ate at Kushikura which specialized in charcoal chicken. after a delicious buffet breakfast in our hotel we headed off to the Kinkaku-ji Zen Buddist golgern temple. Next walking to the Kyoto museum of fine arts, which was designed by Insho Domoto in 1966. The building is a work of Art in itself. Then onto the Ryoanji Temple which had amazing gardens, water features ,Rock garden & wonderful examples of tea rooms. Followed by the fascinating Nishiki markets were we had lunch. Back to the hotel for a hot bath, green tea and some R&R before catching a taxi ti the Gion area to see a Samurai Kembu performance boys got to handle the samurai swards. Finishing off our stay with a Teppanyaki BBQ dinner. Very close to the train station, bus stop to take you to Gion, to Nishiki Market, and particular train station to Arashimaya the Bamboo Grove, only 2 mins walk. 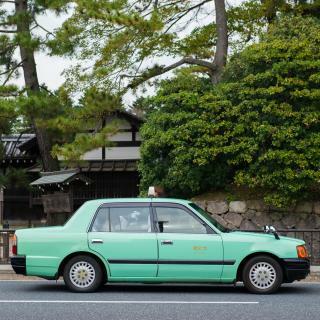 Taking taxi from Kyoto Station only cost you around 1200-1300 Yen. The pastry for breakfast amazingly good, flaky. But need another choice than only croissant and danish. Good quality of coffee also. There’s 7Eleven just 1 minute walk from the hotel. A very local Ramen shop at the right side of hotel (they have english menu also!) Comfortable pajamas are provided. A lovely place to stay: a modern take of the traditional japanese house. Nice decoration, comfortable futon... Also the location is amazing, right around the corner from Yasaka pagoda and Ninenzaka street. Veru friendly host, he recommended nice routes and was very helpful and kid. Also, Himawari has the best bathroom and showers I have seen in Japan so far, better than most hotels. I would totally recommend it and it will be my first choice when I go back to Kioto. This bis the best hostel I have ever been to. Nicely decorated rooms, clean bathrooms and the most important factor - the owners! They actually acted as a concierge and helped us to boom a table in a restaurant (and made several phone calls to do that), brought our baggage to Kyoto station and were super nice in general. They speak English, by the way. The best best during our stay in Japan (and we slept in ryokans and hotels too). The hotel was very nicely decorated and built. It has everything you needed. The kitchen, bar, lounge room, even laundry room you can use for free. Public bathroom was very clean. Breakfast was really good for only 500 yen. 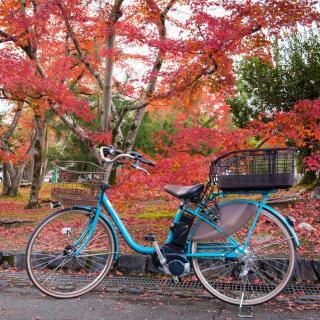 You can use their bicycle for free even after you check out, the best way to explore Kyoto. Location is walking distance from subway station, Kyoto Imperial Palace and Gion area. Staffs were helpful too. We were perfectly welcomed ahead of official check in hour by a soooo friendly and dedicated staf that prepared maps of recommended restaurants, bus and metro stations, recommended path to main sites, ... After this briefing you are ready to enjoy Kyoto!. Hotel is at walking distance from Gion and Ponto Cho areas. Coinlaundry is at five minutes, so as metro station. Our best experience during our trip in Japan! EVERYTHING! Friendly staff that spoke English. High quality throughout the hotel. Wonderful and large room (we had the Deluxe Hollywood Twin Room). The entire hotel is non-smoking. We actually cancelled accomodation at another hotel due to the smell of smoke at that one. This is the best hotel we have stayed at on our trip to Japan. And 5min walk to Kyoto Station. I highly recommend it. If in Kyoto stay here. Location is the best - just 2 mins walk from Kyoto Shiyakusho-mae station you can't miss it (take exit number 1, they even have the sign with the Hotel name at the station!!). Only walking distance from Gion and Nishi-ki market area, makes it very easy to enjoy Kyoto, even at night. Staff are very friendly and greet you every morning in the lobby as you go out. Check in/out process was a breeze. Everything. From staff, to facilities, location and amenities. If you take a bus from Kyoto station it will stop in front of the hotel. There is also a 7eleven & coin laundry close by. Gion and distinguised temples are at a walkable distance, while shopping and dining are even closer. It is the best location where you can visit all the tourists spot we planned. Also, it is a walking distance from the hotel to the train station just about 3-5 minutes walk. We loved the owned customized ofuru within the room itself. It is best for everybody specially couples. This was the best hotel we had in Japan. The room was very big in japanese standards, and the hotel was very comfortable and was located perfectly. Would recommend to anyone visiting Kyoto. Everything about this hotel is great! From check in to check out, localization, staff, service room... even the style of this hotel gives to you a unique experience. Best cost-benefit! Great location, friendly staff and the best green tea I have tasted from a hotel provided tea bag. The room was gorgeous, I had a view of the Kyoto Tower. Very beautiful at night. The bed was very comfortable and the bathroom was stocked with great items. All very clean, staff was so helpful and polite.